We now have had many thousands of PI in the hands of competent enthusiasts for some weeks or even months. Progress on the early bugs and shortfalls has been amazing. 1. SD Cards. The Pi could not read some SD cards (the better ones ironically) - either properly or at all. That seems now solved on new images, even if there was no clear announcement on that feat. Forum indications that it was solved in June did not help the Squeeze users. But the Raspbian distribution "works for me" on the one "problem" SD card I did have. 2. Lack of Floating Point Processor - or at least being able to gain speed from the one that the Pi has built in. Again, the Raspbian version seems to have that solved. Fantastic. 4. Power Supply woes. The Pi has no battery, unlike a smartphone or laptop, and no inbuilt regeneration of regulated power voltage. The 5V parts run directly from the power pack voltage. Economical, sure. But as many find, some power packs droop under load to below the magical 4.75 volts. Add to that, the drops in voltage when serving direct-plugged USB devices. And so many are finding that their Pi gets flakey. Even with the simplest USB load (keyboard and mouse), performance can be troublesome. The usual advice is: Get a stiffer power supply, and use a quality powered USB hub. This power supply advice may be sound as far as it goes - the Pi is weak here. BUT 5. - The power supply advice is forming a smokescreen across the biggest Pi issue. The USB system is broken. Too much load (for the power supplied) and keyboards go erratic, mouses stop, network stops. Hotplug a device - even a simple flash stick - other devices drop out. Plug in a device for which there are no working drivers, and the Pi chokes until it's pulled out. Put a traffic load on a network (eth0, or a 3G stick if you are lucky to get it connected), and the device drops back out. On my laptop, the worst I can do is mess a file by pulling a stick before unmounting/ejecting, or I can curse an unsupported device whose maker only made install disks for windows. BUT MY LAPTOP KEEPS WORKING. The Pi doesn't. As I said, the Pi is currently being worked over by a crowd of skilled techno-people, all keen for it to succeed, all willing enough to forgive for now. But the target market is the kids. Today's kids were born with USB cables for umbilical cords. Their first uttered words were "rightclick" and "online". Much as we would like to wean them from the consumer mentality where everything should (for $) just work, they still do have expectations that stuff should "just work". The days when my static ram chips would change their bit data at random occasionally, the days the TRS80 (1) expansion box had flakey connectors that caused reboots, we worked through it - there was nothing better yet. These kids won't accept a Pi that just doesn't work right. Now those threads seem quiet. The elephant is still in the room. Back in the day of early CB radio one of the tricks wasto run the CB from a battery but leave the battery attached to a battery charger. That way the battery acted as a voltage stabaliser. I was wondering if a small LI-recharge battery in the power line could perform the same with the pi and would this address the Elephant in the room? Just an idea feel free to shoot me down if I am wrong. People keep posting all these issues with the pi. I am using a blackberry charger and I have never once had the network drop out, keyboards and mice work fine, flash drives also work fine, USB serial converters are also fine, my 3G dongle runs a treat and my pi has never crashed or rebooted itself. I think the device is perfect for what it is intended for. My thanks to the Foundation. I am having so much fun with this especially as I am not too worried about breaking it, which I would of this was a more expensive or a primary computer. I honestly don't see what people have to complain about from a £25 computer! It is not intended to be used as a media centre or primary pc these are just pleasant side effects. We are posting isues to to try and make the RPi robust so that when it comes to a rollout for school children it works out of the box. As they say "touching the outside of the envelope" is where you explore the capabilities of the hardware. Note your feedback about the Blackberry charger is as valid as any other, back in the day the Sinclair Spectrum and BBC came out of it's box ready to play, at the moment the RPi is still with the pre-market testers. Please bear with us as we explore "the outside of the envelope" in an effort to turn this into a robust experience for our next generation of engineers. Disagree with the conclusion on Pt5. The USB system is not broken, but there do appear to be issues for SOME people. It is being looked at (recent software release for the USB interrupts/s issue for example). The Foundation does pay attention on on stuff like this! Jim JKla wrote: Back in the day of early CB radio one of the tricks wasto run the CB from a battery but leave the battery attached to a battery charger. That way the battery acted as a voltage stabaliser. Unfortunately there is no battery chemistry that delivers near enough to 5 volts or any integer fraction of it. So feel shot down . I would support a small PCB revision for the educational release, nothing that affected software, but just to replace the micro USB connector with a coaxial one and allow 500mA through the USB ports. RS at least already sell [email protected] wall-warts for low prices and I'm sure a USB to coaxial adapter could be sold for pennies. Allowing 500mA through the USB would raise the polyfuse values to where they were not a problem and allow more USB devices to just work. The power traces to the USB plugs may need upgrading. I don't think doing that would fragment the platform other than for case manufacturers and I'm sure they could cope. While I accept that there is no battery chemistry that delivers near enough to 5 volts, there are voltage regulators which could take a higher voltage (7.2V?) and regulate it down to 5 volts. This might even provide the temporary boost required as external HDD's spin up - I notice that my external 2.5" HDD's quote 5V 1A and assume (feel free to shoot me down if I'm wrong) that this is just the peak spin up requirements. Back in June when I received my Pi's I had similar USB issues as lots of other folks, I saw the Tp1-Tp2 voltage was way too low and after trying several power supplies I bit the bullet and bypassed the input Polyfuse and soldered a barrel connector right across C6. I then had a solid 5.1V at Tp1-Tp2, and many of the USB problems went away. Still had a few, needed a powered hub to do anything, and connect anything with a usb1.1 hub and things just fell apart. After adding some 33uF caps to the output of the high side switch, things seem much better. I can run a usb hdd directly off one Pi's usb port and a kbd & mouse off the other. there still seem to be issues with usb1.1 hubs, but that may be another problem. The TPS2052BD is about .6$US in quantity, where as the .14A polyfuses are about .2$US (need 2 for the usb) and would not need D11 & D12 either, but would need 2 33uf caps. Looks almost a wash. If the 1.4A input polyfuse was replaced as well, the Pi would have a solid power system capable of running more than just a mouse/kbd. The TPS2052B is rated at 80mOhms whereas the polyfuses are ??? the TPS2052B switches in milliseconds whereas polyfuses switch in ??? The TPS2052B has real overcurrent and thermal sensing whereas polyfuses switching characteristics are very ambient temperature dependant. The LAN951x family (there is a 4 channel version that's used in the PandBoard) recommends USB high side switches as the preferred solution. (and the TPS2054B is used in the PandBoard). drgeoff wrote: Unfortunately there is no battery chemistry that delivers near enough to 5 volts or any integer fraction of it. So feel shot down . Yes there are such regulators but a first supply at 7.2v followed by a 5v regulator isn't really any different from a linear regulated PSU. 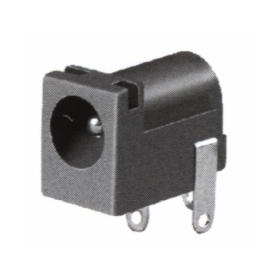 The big problem with these connectors is that the voltage used with them is'n standardised, in fact not even the polarity is, (athough most often the pin is the +), in fact its even used for AC! If the current RPI's would have this socket, I guess a very high percentage of them would be blown up because of using incorrect PSU, with 12V voltage, or reversed polarity, or even AC. Using this socket simply isn't a good option, if you use them you also need a diode bridge, bulk elco, and probably a switching power converter. Add $10 to the price for those. I'm in total agreement with your assessment and solution! Don't worry about the availability of the specific hot plug controller, there must be dozens, maybe hundreds of them on the market, all with similar specs and prices. FYI the poyfuses used for the USB ports are typically from 1.5 Ohm to even 6 Ohm! There even have been reports of measurements up to seven ohms, a day or so after the polyfuses blew. In fact under such conditions only USB devices using low power CMOS logic will keep working, as they can work with much less than 4.75 Volt, in fact normal USB keyboards and Mice are required to work with 0.6 volt (one diode drop) less than 5V logic, that is with just 4.4 Volt. Which might be the only reason they work at all with these polyfuses. Yep, that's what I used, but using a barrel connector in production is probably not the best solution, although there are zillions of them in service, and lots of ARM boards (Panda, Beagle, Odroid, Snowball1/3, Origen) use them. I just did what I needed to do to connect my Pi to a known good power supply. Yes, fine for a quick hack, not so good for a production solution. I've tried three different hubs and two different types of wifi dongles, and wifi connectivity just drops after a while with hundreds of "Failed to read/write register index 0x00000114" with a range of solid power supplies and good voltages regardless of the combination I try. I'm still struggling to get wifi stable on the pi with dongles that which "just work" on the PC. Whatever the cause, unless there is no intention to use this hardware for anything other than lan & keyboard and mouse the USB system in use isn't robust enough. It needs more work. Whether the issue is hardware or software, it looks like an elephant to me. jamesh wrote: Disagree with the conclusion on Pt5. The USB system is not broken, but there do appear to be issues for SOME people. I can't really agree with this either. The vast majority of users seems to have USB problems, from what I see and read here and on IRC. But only the people that have problems post here, and there are what, 100,000 out there now? for the record, I do not have a problem, and that is despite having polyfuses at the top of the resistance range. Fortunately it seems my mouse and keyboard are forgiving. In almost all cases, the problems are caused by the equipment external to the RaspPi, be it power supply, power cable or USB devices. If those are chosen with care, then the RaspPi just works. However I do not believe that we can rely on the wider market to chose the right equipment when it is as easy to make the wrong choices as it is now. Added to which school children and their parents will not have the funds, the patience or the understanding to keep buying equipment in the hope that something will work. You could argue that the majority of REPORTED issues come from nine out of ten cats holding a USB dongle. Agreed that there's just no way to know (as forum readers) what the actual percentage of failures is. People who say things like "well, so 50 people reported a problem and there are 376,912 units out there, so we can conclude with complete confidence that there are 376,862 happy users out there" are obviously in denial. It is standard in this sort of situation to assume that every 1 person who reports a problem is speaking for (i.e., represents) 10^N people with the same problem (but who didn't get around to complaining) - for some value of N. The problem, of course, is the calibration of this equation - nobody on the forum (that is, whose only source of information is the forum) can make any sort of intelligent guesses about this. I would imagine that some combination of the Foundation members and RS and Farnell could, however. Finally, as I've said before, the fact that the board does not work with just any old crap (keyboard, mouse, network adapters) that you have lying around *is* a problem. Regular PCs *do* work with just any old crap you have lying around. That's their strength. I get "Failed to read/write register index..." messages as well as several others. I believe that my mod hs addressed the usb power issue for my Pi, so the next step in the debug process is to figure out where the messages are coming from, what they mean and what to do about them. NOT an ERROR, so the driver is not happy, but can continue, ...maybe. Can it ever read index 0x114, or does this happen only under certain conditions? What are the consequences of not being able to read it. As usual, the power is the first suspect. With my moded Pi running debian I can run a speedtest of the Lan to http://www.2wire.com (no java or flash) that returns 2Mbps and adds no messages to dmesg, but If I plug a usb mouse into my powered usb 2 hub connected to the Pi with a cable with the power line cut, I get a bunch of messages including 2 "Failed to read/write register index 0x00000114". When repeated, this hangs the system until the mouse is unplugged, or, sometimes it doesn't. The rootfs for my system is on a usb hdd, so lots and lots and lots of usb transactions going on all the time, especially when doing a network speed test. IMHO, the real elephant in the room is dwc_otg, dwc_otg_common, and the Synaptics IP. ie. the usb host controller driver, and hardware. Joe Schmoe wrote: Finally, as I've said before, the fact that the board does not work with just any old crap (keyboard, mouse, network adapters) that you have lying around *is* a problem. Regular PCs *do* work with just any old crap you have lying around. That's their strength. I have a box with 10 unused serial mice that won't work and I have rather a lot of floppy disks I should really do something about. Now where did I put that scisi controler oh yes it's 8 bit. Just going to chip in here with my own experience , however much worth it'll add to it . anyway , not connected to any network , it booted , recognised the wireless keyboard and mouse and all going ok . I had the pi USB plugged into the Iomega , the Iomega plugged back into the Pi to power it ( nice solution the Iomega power switch worked for the Pi ) and the monitor ( dell 19" widescreen ) 2 port usb hub plugged into the minimax . The keyboard worked away fine , whether I had it plugged into the monitor or the Minimax . This setup seemed to behave grand , no lagging or a bit . even plugged in the android phone to copy across a driver I downloaded for the edimax wireless dongle I bought in Maplin . remembering the issues with USB , I moved the dongle around between monitor usb ports , minimax ports and finally on the Pi itself . All to no avail .I also moved to where I could plug in the Lan and get to the internet at large . I caved and plugged in a separate power supply for the pi . no improvement . Brought the edimax dongle back . Bought a cheap TP-Link one in Argos . Came home , tricked around with it ( MrEngmans script ! many thanks !) and got it working in the Pi's USB , couldn't get a light at all anywhere else I plugged it in . information necessary to make proper sense of all this . No internet in LXDE, nothing works, really. In order to make the statistics more accurate, I would like to report problems with the pi usb as well. 1. USB to serial FTDI devices with older chipsets are seen properly, but the Pi hangs when I try to use the device. 2. USB wifi adapters work for a while, but under heavy network traffic suddenly fail. 3. Why most embedded systems seem to have a watchdog, I can't find a code example of a watchdog for the Pi. I know Linux should be stable and asking for a WD might upset people, but the way the Pi works now, it can use one. 4. The analog audio seems to crackle during start and stop of the driver. I haven't tested this myself yet, but based upon the number of forum thread about it, I do think there is an issue. 5. This Forum is a mess. A dog wouldn't find his puppies in it is what we say about such. Item 1 and 2 are probably caused by the USB Elephant. That's why I decided to reply here. I tried to connect the devices with an usb powered hub to rule out the power supply issues. Apparently to the Forum, using a hub can cause other usb issues which makes everything even more complicated. The non working ftdi devices are part of a low cost 4 port usb converter. (It's still 100 euro but for a 4 port usb 2 serial device that's low cost.) Inside the box there is a small usb hub chip and 4 ftdi chips, one for each serial port. The pi recognises the ports fine (ttyUSB0 - ttyUSB3) but as soon as I try to use one of the ports, the pi freezes. The solution that was presented on the forum was to use newer ftdi chips...? I can understand that the buildin driver doesn't support older chips, but I can't understand that the pi hangs due to that. You would expect it to ignore the unsupported devices.